10 Best Production enjoys providing the public with relevant, accurate data regarding the video production industry. For this reason, the company is thrilled to announce its new award listing category: Best Video Production Company for San Francisco. 10 Best Production is pleased to introduce a new award, Best Video Production Company for San Francisco. Winners of the monthly award are Story Eyed Media, Corduroy Media and Caruso Comopany. 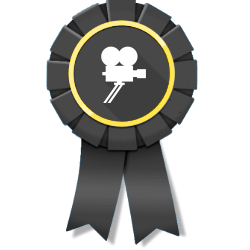 The award acknowledges the power and prestige of video production companies that work with relentless skill and speed to consistently provide business owners with jaw-dropping conversion rates and mind-blowing visibility! As a leading video production business, Story Eyed Media knows the industry like the back of their hand. They recognize that the video production process is comparable to weaving together a complex narrative such that it is a concise, compelling representation of what the brand owner's products and services are all about. The company is highly skilled in working with clients irrespective of their budget limitations to ensure that their video production vision is realized with excellence and expedience. And as a team of detail-oriented professionals, clients can be confident that each component of the video project will be optimized and perfected to ensure that the brand's identity remains distinct and exceptional. Story Eyed Media’s brand-building services help business owners outshine competitors and earn customer loyalty. Top video production company Corduroy Media was founded in a California apartment back in 2003. Since its inception, the company has grown and now specializes in consistently putting out top-notch videos that help brand owners expand their dimension of visibility. The company's staff is committed to perfecting each aspect of the client's video ad, and they maintain open and honest communication with business owners to ensure their thorough satisfaction with the entire video production process. As innovation experts who value the good impression that an original video can leave, the Corduroy Media techies are skilled in utilizing creative thinking skills to ensure that the client's brand remains distinct and dynamic. One of the best video production companies in California, Caruso Company offers clients all they could want or need. The company's professionals specialize in developing original content and brand films. They also excel in producing commercials for television and the web. The representatives of Caruso Company also have extensive experience in working with both small and large sized businesses. Some of the big names the company's techies have served include Oracle, Google, EA Sports, HTC, Cisco, eBay, Verizon Wireless, and PayPal. In this day and age, an excellent video ad can take a brand's visibility from mediocre to marvelous with lightning speed. The professionals of Caruso Company are deeply passionate about facilitating this process. For more information, visit http://www.10bestproduction.com.